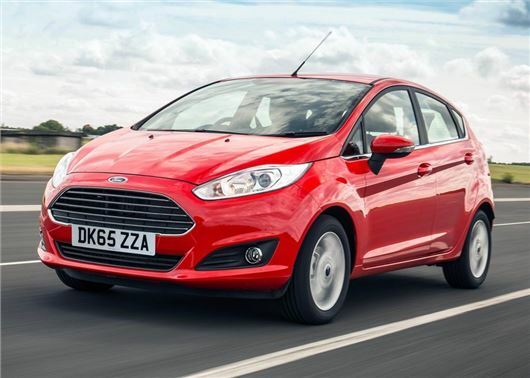 The Ford Fiesta is now available from £8745 until 31 March. The offer applies to the three-door Fiesta Studio trim, powered by the 1.25 petrol engine. Originally £10,245, the money-saving deal cuts £1500 from the list price and makes the entry-level Fiesta cheaper to buy than both the Hyundai i20 (£9995) and Vauxhall Corsa, which starts from £9495. Studio models are covered by Ford's three-year/60,000 mile warranty and feature most of the basic kit, including tinted glass, hill start assist, electric operated (and heated) door mirrors and a tyre pressure monitoring system. There is no air conditioning or alloy wheels, but the 14-inch steel wheels provide the most comfortable ride of any Fiesta in the range. The 1.25 four-cylinder petrol isn't the quickest engine – 0-62mph takes 16.9 seconds – but the official fuel economy figures are difficult to ignore, with the four-cylinder petrol unit returning 54.3mpg and 122g/km of CO2. As always, the Fiesta Studio deal is subject to availability and participating dealers. The price includes VAT and Ford reserves the right to withdraw the promotion at any time.